A few weeks ago I got feed up with my netbook while I was in class. It did not crash, or lock up, or loose a paper, it was just too much for what I needed. Having everything there has encouraged a bit of laziness in my work so I went home and dug out my Tandy WP-2 word processor and started to use it in class, I got out my null modem adapters and was able to use less to do the same work. 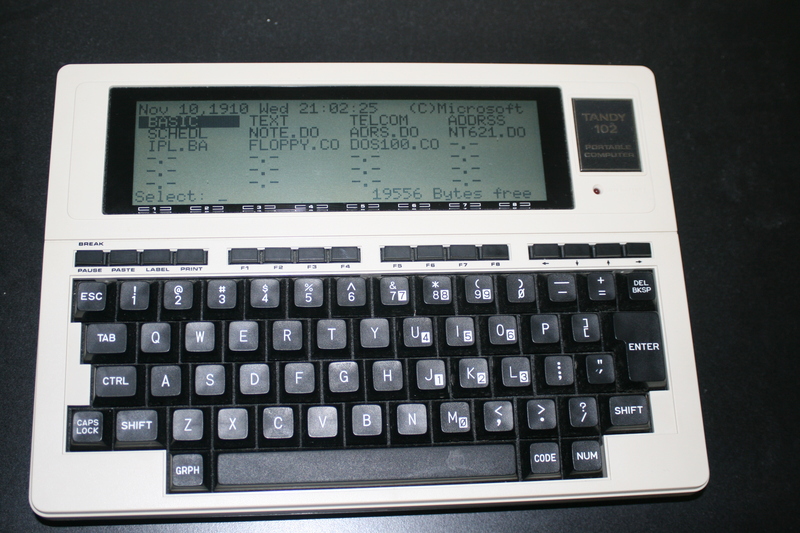 After that I knew what I needed to do: Get a Tandy Model 102. So I did now I am having to relearning computing skill I had 20 years ago. This is that journey. 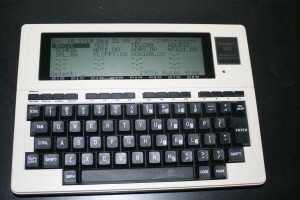 Here it is the Tandy Model 102 Laptop. Little more than a BASIC Interpret, Text Editor, and a Telecom Program, 32k of ram, not much running at 2.4mhz.